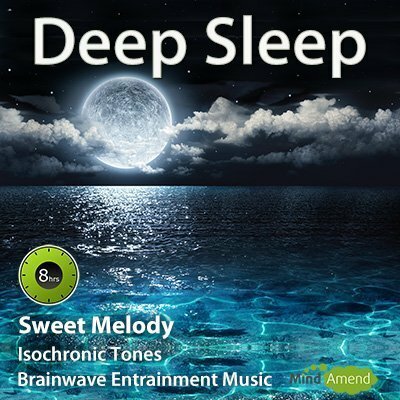 This deeply relaxing 8 hour sleep music track will relax your brain and gently guide your brainwaves through a typical 8 hour sleep cycle. This Deep Sleep session is designed to stimulate your brainwave activity, to emulate a typical 8-hour sleep cycle pattern, and the diagram below shows how the session is constructed. The frequency begins at 10Hz and gradually ramps down to 0.75Hz at the lowest point. You will notice that the first two cycles are much deeper and longer because you normally experience your deepest sleep during the first part of your sleep. 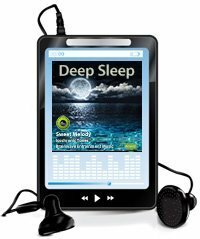 As the session continues, each sleep cycle begins to shorten and doesn't go down quite as deep and as low in frequency. At their highest point, each cycle reaches a peak of 7.83Hz at the top end of the theta range. This is where you will normally be experiencing REM sleep (Rapid Eye Movement). This sleep session is designed to get you to sleep faster, but just as importantly keep you asleep during the night, helping to combat insomnia. 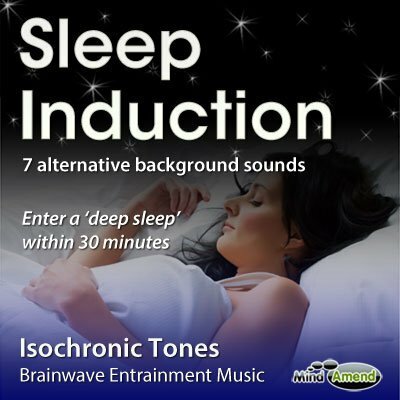 Each 8-hour sleep session contains isochronic tones which follow and beat at the frequencies shown in the diagram. I've deliberately made the isochronic tones quite faint in volume so that they are not too disruptive. 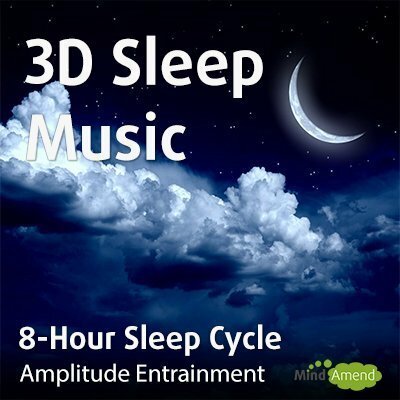 For these 8-hour sleep cycle sessions, the strongest stimulation comes from the amplitude entrainment effects embedded into the music soundtracks. Amplitude entrainment is a process which involves distorting the music, which produces vibrations in the sound. 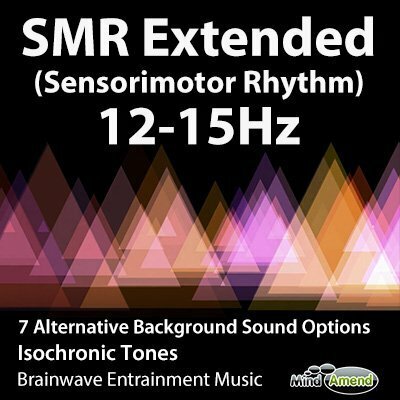 These vibrations are linked to the same brainwave entrainment session above, so they increase and reduce in speed, in unison with the frequency of the isochronic tones. These amplitude vibration effects can sound very hypnotic and be relaxing to listen to, compared to the more abrupt sound of isochronic tones. 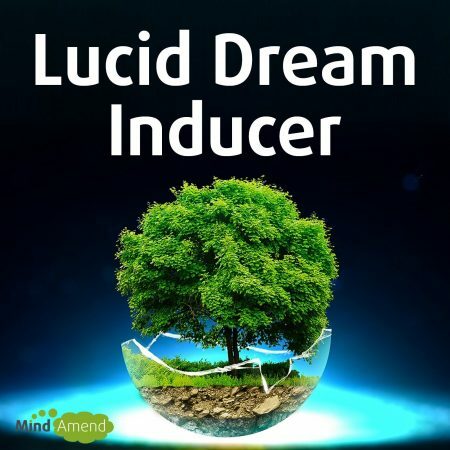 This makes this method of brainwave entrainment ideal for using to help you sleep. Most people's sleep cycles are not exactly the same, and even the same person will experience variations in their sleep cycle, from one night to the next. Because of this, it's virtually impossible to create a general brainwave entrainment like this, which is a perfect fit for everyone all the time. This is why I've used the term ‘typical'. I've tried to follow a typical 8-hour sleep pattern, which may be beneficial for the widest audience. I hope you enjoy using it and that it helps you improve your sleep in some way. This track lasts for 8 hours and is designed to be listened to throughout the night. Start playing the track just before you are about to lay your head on the pillow.